When Do Children Show Evidence of Self-Esteem? A YouTube clip called “Jessica’s Daily Affirmation” recently went viral. The clip shows a four-year-old Jessica standing in front of the bathroom mirror saying what makes her happy about herself. Many youngsters, like Jessica, seem to exude positive feelings about their abilities – they happily report that they are good at running, jumping, drawing, math or music. However, the belief in being good at certain concrete skills could be different from a more general sense of self-worth or what scientists call “positive self-esteem.” For example, at early ages, children can report “I’m good at running” or “I’m good with letters.” But preschoolers might not be able to answer questions about their overall sense of self-worth. So, when do kids develop a sense of self-esteem and how can we measure it? Our research has developed new ways to study what kids think about themselves. Parents, make a note: our results show that most kids develop a sense of self-esteem – feeling good or bad about oneself – as early as age five, before they even enter kindergarten. Measuring children’s self-esteem can be challenging because it seems to require a certain level of introspection and verbal abilities. We found a way of getting around this by measuring children’s deeper and more implicit sense of self-esteem, something that did not require answering verbal questions. But preschoolers have difficulty answering such verbal questions. Cognitive and verbal skills required for such answers do not develop before age eight. So, rather than relying on asking children verbal questions, we developed a new tool called the “Preschool Implicit Association Test” (the PSIAT) to measure children’s implicit self-esteem. The value of this measure was that it did not require children to verbally describe how they felt about themselves. We gave two sets of small colored flags (see below), each set symbolizing “me” and “not me” to 234 children. Child’s view of the apparatus used in the test. Reprinted from Journal of Experimental Social Psychology, 62, Cvencek, D., Greenwald, A. G., & Meltzoff, A. N., Implicit measures for preschool children confirm self-esteem’s role in maintaining a balanced identity, 50–57, Copyright (2016), with permission from Elsevier. These children then were asked to respond to a series of “good” (fun, happy and nice) and “bad” (mad, mean and yucky) words from a loudspeaker by pressing buttons. This procedure measured how closely the children associated the “good” words with the “me” flags. A five-year-old tested at the University of Washington’s Institute for Learning & Brain Sciences. Copyright (2011) University of Washington. This procedure is a variation of the adult Implicit Association Test, a social psychology measure widely used to reveal hidden biases in adults about race, religion, self and other topics by asking participants to quickly categorize words from different categories. We found that more than 90 percent of five-year-old preschoolers linked themselves with the “good” words, which indicated positive self-esteem. It also showed us that most kids develop a measurable sense of self-esteem by age five. Our test provides researchers a reliable way of examining the earliest glimpses of how preschoolers develop a sense of their self-worth. 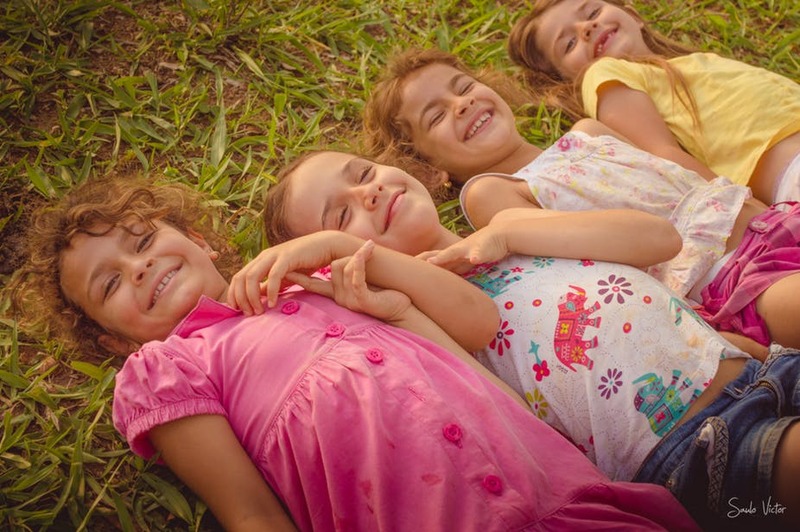 So, why is self-esteem important for children? A healthy self-esteem can provide an emotional buffer to setbacks and enable children to develop resilience toward failures. In adults, self-esteem has been shown to predict an individual’s reactions to success and failure. People who have high self-esteem persist more after experiencing a setback than do people who have low self-esteem. In young children, such a relationship between resilience and self-esteem may be especially important to early learning and education. For example, few first graders consistently score 100 percent on all tests, and few preschoolers are as skilled as their older siblings. We believe that such micro-setbacks can be buffered by positive self-esteem. Because self-esteem tends to remain relatively stable across one’s lifespan, its early establishment could potentially provide a lifelong emotional buffer in the face of everyday failures and challenges. How do children develop their sense of self-esteem? Young kids care a lot about others “like me,” and this may even start in infancy. We also know from other research that infants and toddlers can judge the extent to which others are like them along several dimensions. This lays the foundation for developing social relationships and a sense of belonging. These feelings, combined with warm and consistent care, help children develop feelings of attachment to their parents, which may further pave the way for the development of positive self-esteem. 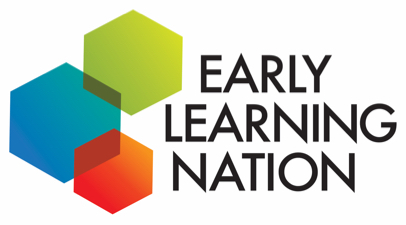 We found the first five years to be critical in laying the foundation for this social-emotional development. Positive self-esteem can help in other ways as well. For preschoolers, it is important to feel that they are part of a group. In this way they can navigate the social world more easily. Children, just like adults, tend to prefer those groups to which they belong. Scientists call this an in-group preference. In-groups in adults can be based on race, nationality, religion, etc. In children, we found a strong in-group preference based on gender, and it was linked to self-esteem. This shows that self-esteem is systematically related to other fundamental aspects of one’s personality very early in development. We believe that self-esteem is one of the mental tools children use to create a sense of identity and belonging with social groups. In other words, at an early age, children mirror adult patterns of psychological organization. This is something they bring to kindergarten with them and don’t learn in school. Giving kids a good start in life may be one of the most important gifts that parents can provide to their child: children who feel loved by others will likely internalize this love to love themselves. Jessica from the YouTube video is but one compelling reminder of just how inspiring a young child’s positive self-view can be. And it is the foundation for so much more.